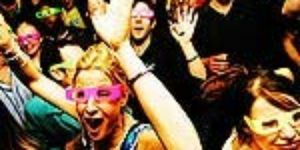 Lately Night Club is a buzzy venue which has a wide choice of theme nights throughout the week. "Offering unique experience in West Hampstead, London. 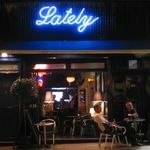 Lately has been established in 1979, the longest and very unique local bar/club in West Hampstead, perfect place to meet and relax early with your friends after long day at work or later after nice dinner. It has to offer main bar on the ground floor with sitting area, and beer garden during the weekdays. Downstairs bar with a dance floor every Friday and Saturday." What did you think of Lately Night Club? This place is just awful...do not go! I walked in and wanted to leave in five minutes. The music was awful, the place was awful and you had to pay to get in! I came to latleys every weekend in the 80s i am thinking about returning as it was great the dance floor and bar still looks the same a very warm place i had a great time there ! We met the owner and he was extremely rude. We had a terrible experience here. Their customer service was as awful as the decor! We had one drink and left. We will not be returning. The owner needs to take a course in customer service and hospitality. If he wasn't so rude perhaps more people would return. No wonder the place was empty! It's all about the cheese. If you like your dance floors small and danky, your music cheesy and your dancemates fun and unpretentious then this is the place for you. It does exactly what it says on the tin! Do not pay any heed to the previous posts, this place has undergone a major change in the past year and is now a real treasure in West Hampstead. The music is up beat and contemporary and the dj is more than willing to accept requests. The drinks are very reasonably priced and the atmosphere is very friendly and good spirited. The bouncer is real highlight and is always ready with a witty post to any cheeky comments. I can thoroughly recommend this lovely club. Don't walk out of the Lately Night Club and go to the pizza place next door! They do good pizzas but the bouncers at Lately Night Club don't let you back in afterwards. 3 destinations curated by Richard M.